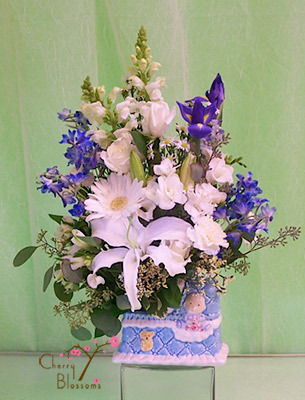 Cute bisque container is a music box holding beautiful blooms in either blue and white for boys or pink and white for girls. 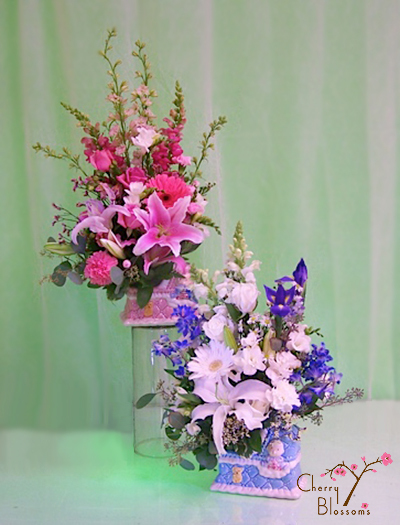 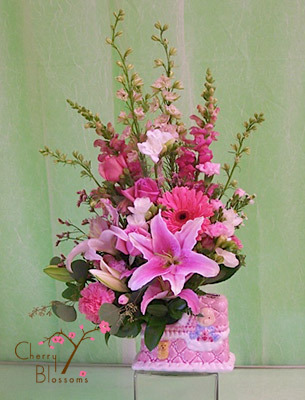 Features lilies, roses, gerbera daisy, snapdragons and more. 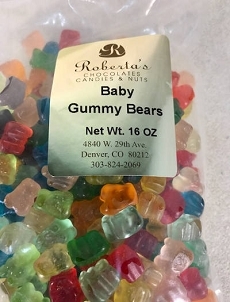 **This product must be ordered by 2pm for same day delivery to the hospital.